Join Travel Photographer of the Year Award winner Lorne Resnick and photojournalist Sven Creutzmann - the longest accredited foreign freelance photographer on the island - as they guide you in a truly unique learning and travel experience in Cuba. For the very first time, participants will enjoy the lessons and stories of a 2nd photographer, providing a unique and different perspective on this amazing island. -Lorne will be concentrating on the Fine Art Image - creating a stand-alone image that provokes a strong emotion in the viewer that transcends the subject. -Sven will concentrate his teachings on photojournalism - creating stories with a strong theme like those he has shot for magazines such as; Vanity Fair, The New York Times, Geo (the European version of National Geographic Magazine) and Newsweek. I first met Sven at a journalists party during my first week in Havana, in the summer of 1995. We have been close friends ever since. 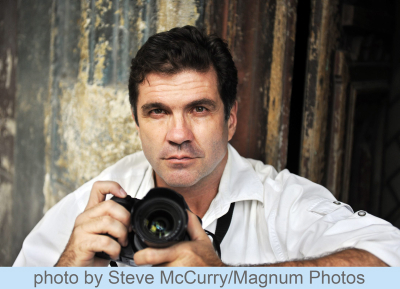 When I met Sven, he had already been living and working as a photojournalist in Havana for 7-years. 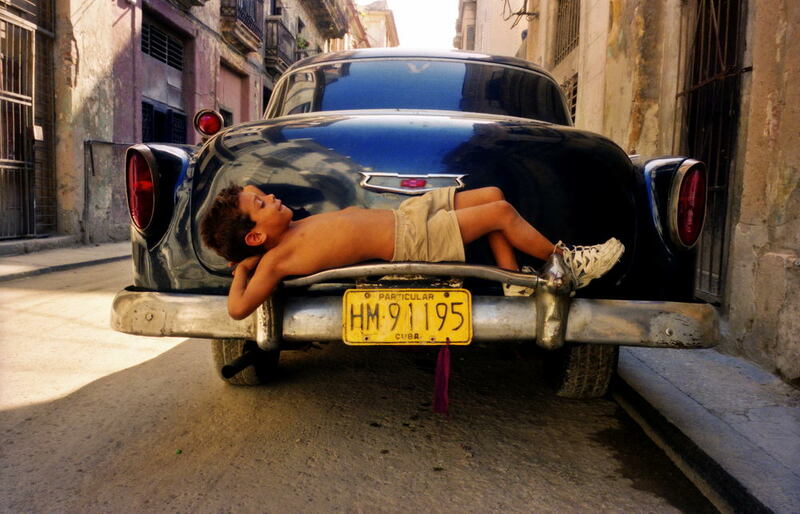 Besides his incredible body of images shot on the streets of Cuba, he has shot magazine stories on everything from the famous Tropicana dancers to music in Cuba to the Sugar Cane Cutters and everything in-between. 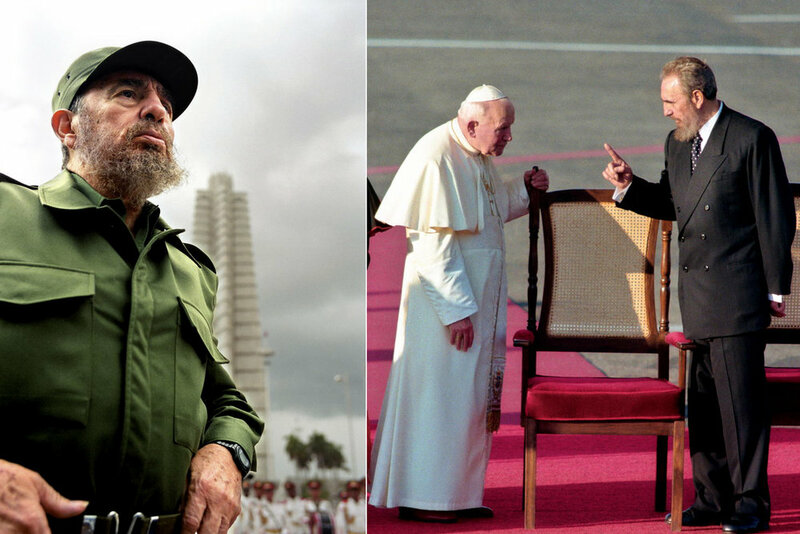 But perhaps one of his most famous bodies of work is his 23-years long coverage of Fidel Castro. During the trip you will enjoy personal reflections, slide shows and stories on how he got these amazing images. There will be an option to work with Sven from the beginning of the trip to the end on a specific theme that you choose to create (or continue) a body of work that fascinates you. Past themes that participants have covered have been: music, vintage cars, Harely Davidsons, Women, Political propaganda., etc. There will be lots of opportunities for lectures, slides shows and image reviews. And of course, the most important thing of all - shooting in the streets of Cuba. Born behind the Iron Curtain in East Berlin, he moved with his parents to West Germany during the early 70's, amidst the cold war. He first received education as advertising photographer, but soon went on to cover news for Reuters for seven years. He is now a reportage photographer, working on assignment for Geo, Stern, New York Times Magazine and other major magazines. 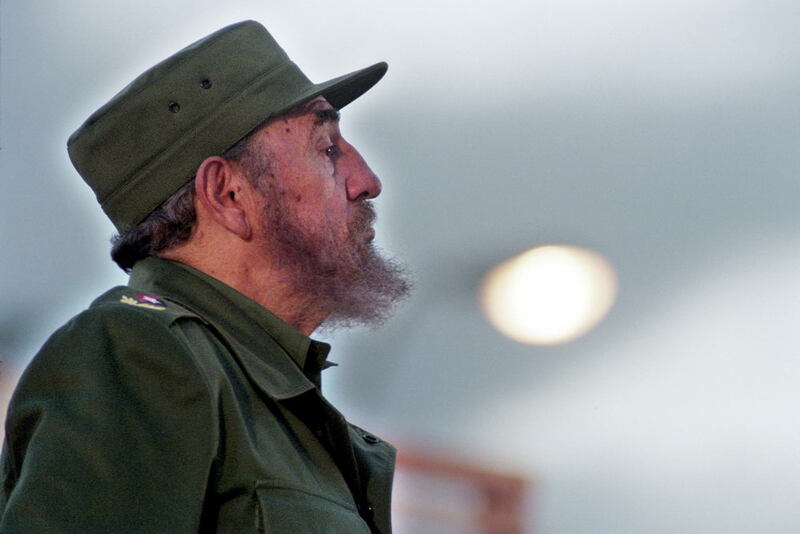 He has published a book on Cuba and lives and works in Cuba as a permanently accredited photojournalist for the past 23 years. Sven has coved national and international assignments for the british news agency REUTERS and was pool photographer at the 1992 Barcelona Olympic Games. He is now a reportage photographer, working on assignment for German and international publications like e.g. GEO, STERN, SPIEGEL, and the NEW YORK TIMES. 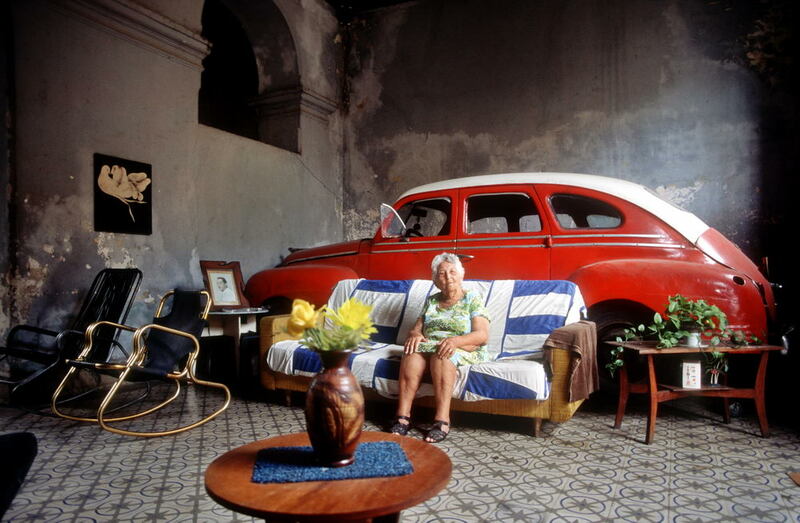 Sven's work includes features on all aspects of Cuban life, extensive archives on Castro as well as on all tourist spots on the island. He has travelled throughout Latin America to cover issues ranging from Presidential portrait of Chavez in Venezuela, Lapislazuli mining in the Chilenean Andes, Favelas in Rio de Janeiro to American's handover of the Panama Canal. Join Lorne & Sven (pictured above) as they guide you in creating compelling and unique travel images in Cuba. The workshop is geared toward every participant level and non-photographer partners. Whether you're a novice or pro, Lorne & Sven will not only have you generating more powerful images, but will also give you the structure and understanding to enable you to continue refining your skills once the workshop is over. The theme of each workshop is to have you creating images with a greater sense of purpose – in essence, finding and refining your true vision. 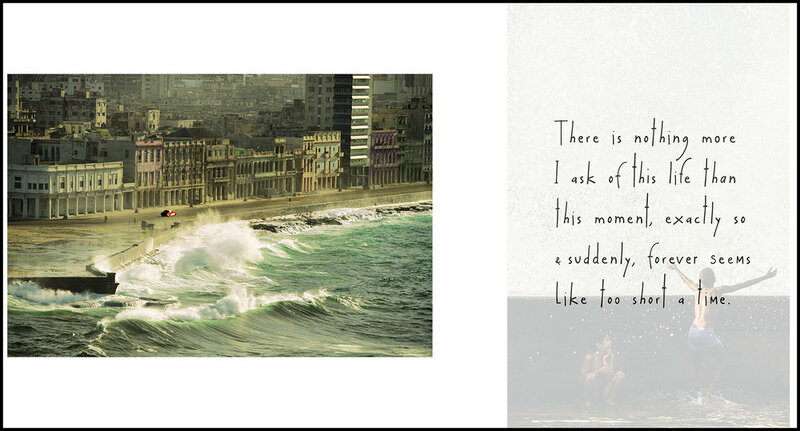 © Lorne Resnick - a spread from his book: Cuba, This Moment, Exactly So. • All breakfasts in Cuba. 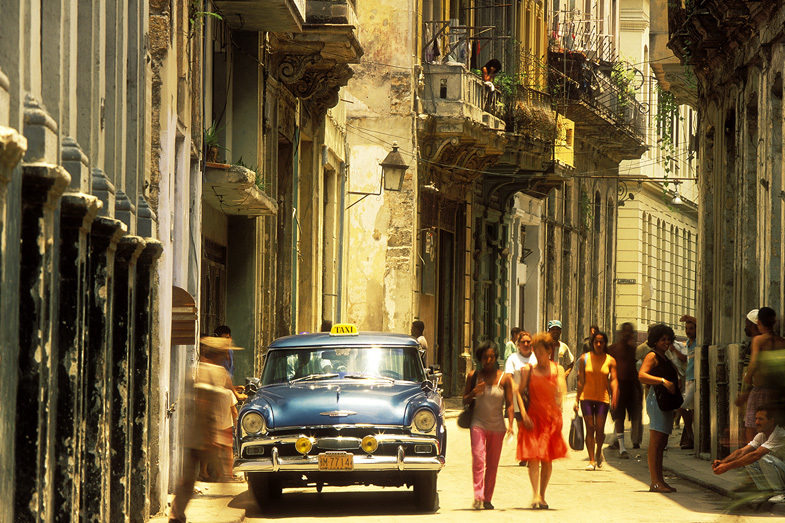 December 11-13: Havana: Each day, we will endeavor to shoot both sunrise and sunset. The middle of the day will be used either for additional shooting (if the sun isn't too harsh and flat) and/or image reviews and discussions about techniques. December 14: Day trip to Viñales. We'll be touring a tobacco farm during the visit to this gorgeous tobacco growing region of Cuba.